Scotland's Chris and Tom Sole are following in the footsteps of their father David, who led Scotland's rugby union team to its most famous victory. 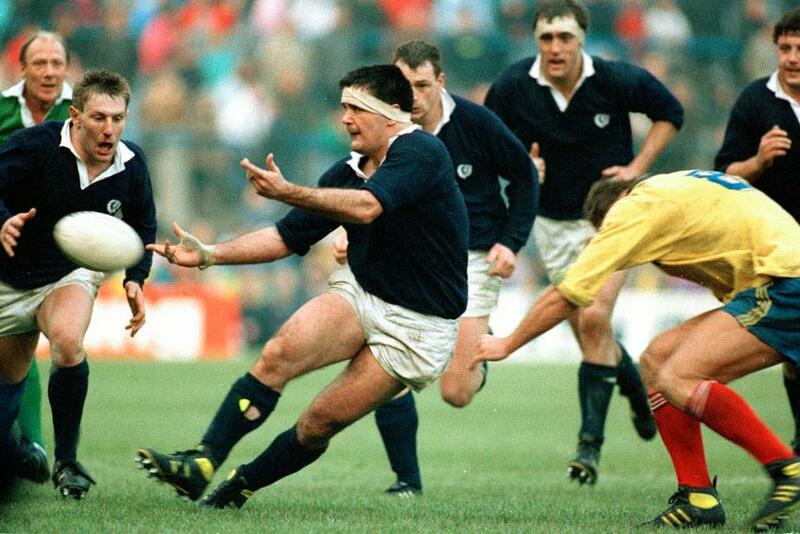 The 1990 Grand Slam rugby union decider lives on as perhaps Scotland’s proudest sporting moment. 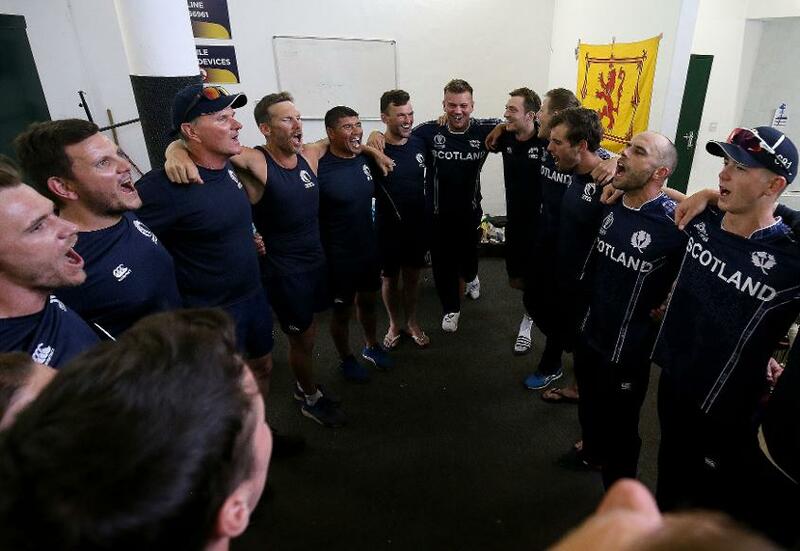 Up against an England side who were red-hot favourites, Murrayfield’s tartan army ramped up the decibels – commentator Bill McLaren said he’d “never heard such an emotional rendition of ‘Flower of Scotland’” as was sung before the game. But if it were just down to David Sole – who captained Scotland that day and led his team in a now-famous slow march onto the field before the game – his sons Chris and Tom, both of whom are representing Scotland at the Cricket World Cup Qualifiers, might never have heard of their dad’s part in the game. It’s not uncommon to find cricketers with family ties to the sport – Wikipedia lists well over 150 ‘international cricket families’, and at this tournament alone there are the O’Briens of Ireland and the likes of Ed Joyce and Craig Ervine, whose siblings have played international cricket. But it is rarer to find them with family members who reached the peak in another sport altogether. “I played a bit of cricket when I was at school,” recalls David, who won 44 Scottish caps and three for the British and Irish Lions. “But because rugby was very much my first love, in the summers I tended to try and do work at university and catch up on the two terms when I’d been playing rugby, so I didn’t play that much cricket. It’s down to this ‘try everything once’ attitude that the Sole family has achieved the astonishing feat of having international representatives in three different disciplines – with sister Gemma having played for Scotland at the Netball World Cup and the Commonwealth Games, drawing attention for playing ‘Flower of Scotland’ on the bagpipes before each game. Brother Jamie, who spent a season at rugby union side Newcastle Falcons, completes the set of sporty siblings. Naturally, as the four grew up, sport dominated. That match against Sri Lanka wasn’t an official ODI. Had it been, it would have been Scotland’s first ever victory against a Full Member. 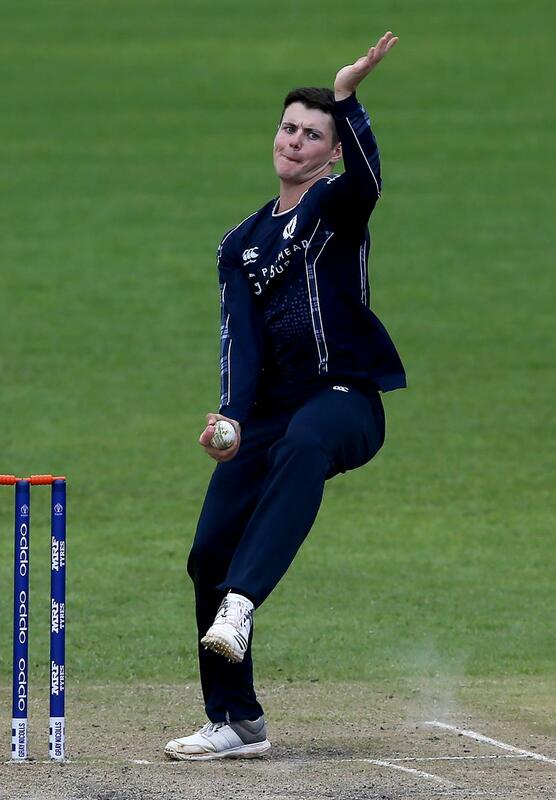 They had to wait less than a month to achieve the feat, beating Zimbabwe by 26 runs at home at the Grange, and while Tom didn’t play – the two have never played a full international together for Scotland, injury and illness having so far prevented from taking the field at the Cricket World Cup Qualifier – Chris performed a key role as Scotland’s most economical bowler. 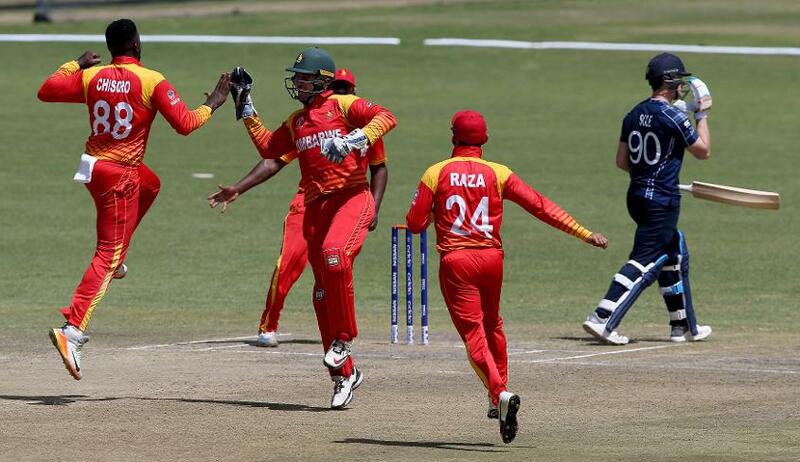 As the two have risen through the ranks, so Scotland have emerged as one of the coming forces of international cricket, and improved recent results have led to an increase in fixtures against top level opposition – this summer Scotland will take on Pakistan and England at the Grange in Edinburgh. “My wife and I are keeping all our digits firmly crossed that they might actually be playing together, which would just be an amazing experience for them and an amazing experience for us as well,” says David. The national team’s success has seen a rise in participation at all levels, with both Chris and Tom also noticing an increase in support. “There’s a lot more exposure now to young people, even in state schools in Edinburgh and Glasgow in particular,” says Tom. 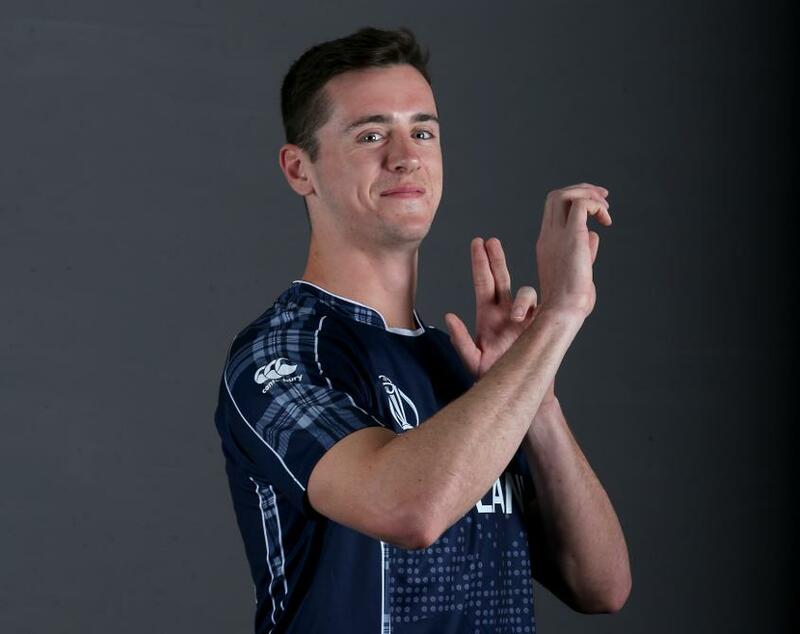 Scotland have been spurred on by that support in the CWCQ, beating pre-tournament favourites Afghanistan, and tying with hosts Zimbabwe in dramatic fashion on their way to qualifying for the Super Sixes. That Tom feels the result was “a bit gutting” only reflects the progress the team is making. Scotland begin the Super Sixes stage unbeaten, and, with teams carrying the points from games played against other qualifiers forward, in second place. There is still plenty to do, but they have given themselves an excellent chance of qualifying for the Cricket World Cup. Given that the 2019 tournament will be limited to just 10 teams, it would surely register as Scotland’s greatest cricketing achievement, perhaps even one to rank with that famous Grand Slam win of 1990. There’s no doubt which would come first in David’s mind. “The thing I always stress is that all the kids have made their own choices, and I think my wife and I have tried to support them as best we can, whether that’s cheering on the sidelines or from a resources perspective,” says David.